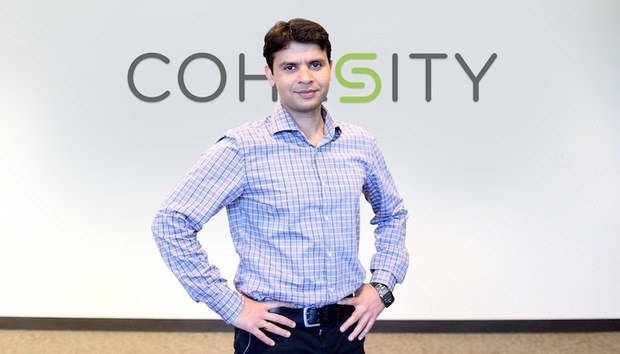 Last June, Mohit Aron brought his new secondary storage company Cohesity out of stealth mode and into the open with a total of $70 million in VC funding. By the end of the year, Tech Target had listed it as one of the 12 storage startups to watch in 2016. And to date it has acquired a handful of large customers such as Tribune Media and Credit Acceptance. Mohit Aron has a very established pedigree. As the cofounder and former CTO of Nutanix he has often been described as a pioneer of the hyperconvergence movement in storage. In fact, Nuntanix has taken a pivotal industry role in the primary storage space with SimpliVity emerging in its slipstream as a next generation innovator. Aron began his career at Google where he spend five years helping to build the Google cloud system. Now, with his new company Cohesity, he is also looking to solve the secondary storage problem with hyperconvergence, and has brought a range of ex-Google employees on board to help him. He describes the storage space as like an iceberg with the primary data as the tip and the secondary data as hidden. This secondary information is very fragmented and runs in siloes, he explains. This makes it fundamentally inefficient because if you need to do anything with the information – like analytics or software development – you need to copy the data. Overall this is “dark data” as business have no insight into what is going on. This problem can be solved by “holistically looking at the space,” says Aron. His vision is to create a single, scalable Google-like platform which breaks down siloes and mitigates inefficiencies because there is no need to migrate data. The use of directly applied analytics means “you can shine a light on dark data” he explains and provide usable analysis for the business. This doesn’t need to be real-time quick, it just needs to be possible, and efficient. Aron is adamant no other vendors can deliver this full capability. But what about Rubrik? This company also claims to bring hyperconvergence to secondary storage? Looking ahead, Cohesity recently announced a partnership with Pure Storage in the primary space. This means the two companies can go together and sell a complete solution into environments. “It is a great partnership, we can collectively wrap the iceberg,” explains Aron. Credit Acceptance and Tribune Media are both joint customers with Pure Storage. Aron is also keen to highlight the fact that Cohesity announced a hybrid cloud strategy in April. This means it is not only solving legacy problems but also looking to the future, he says. “The cloud is like renting a hotel. On premise is like owning a house,” he adds “we’re bringing together best of both worlds”. “The company is growing faster than I expected,” he concludes. Nutanix: Is the new Sun rising?